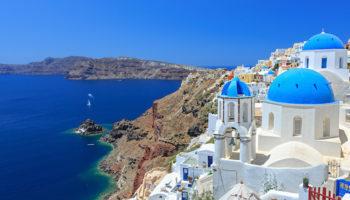 If you are lucky enough to be visiting Greece, you should make it a point to see some of the Greek islands. 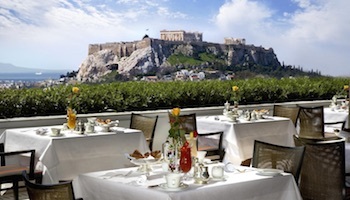 There are quite a few islands that are close to Athens. This makes it easy to do some island-hopping. 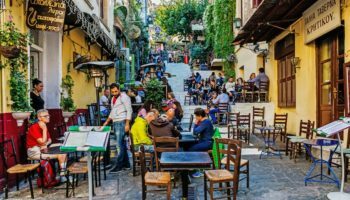 You can often find ferries that will take you from Athens to a Greek island on a day trip, where you can view some historic attractions, relax on a beach or visit a whitewashed village. 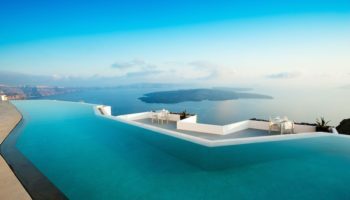 The following is a description of some of the islands near Athens you might want to visit on your Greek adventure. 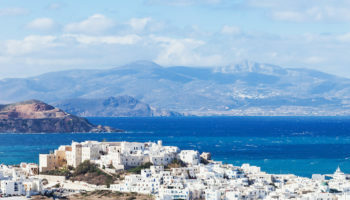 Serifos is an island in the western Cyclades, known for its ancient towers, castles, monasteries and the unspoiled hilltop capital of Hora with its whitewashed buildings. The island has a total of 72 beaches. Among the most popular are Psili Ammos Beach, Ganema Beach, Vaya Beach and Lividakia Beach. Some of the notable buildings on the island include Moni Taxiarchon Monastery, which was built in the 14th century. You might also want to visit the White Tower, the remains of an ancient watchtower on the top of a hill. The island is popular among scuba divers and there are several companies offering diving tours. Spetses is a Greek island known for its charming cobblestone streets, historic mansions and its crucial role in the Greek War of Independence. To learn more about the island’s history you can visit Spetses Museum or Bouboulina’s Museum, which is dedicated to one of the famous heroines of the war. One of the most beautiful spots on the island is Bekiri Cave, which has areas where you can swim as well as walk. Ayia Paraskevi Beach, which has a small church nearby, is a quiet beach that’s great for relaxing or swimming. One distinctive feature of Spetses is the prohibition of automobiles within town limits. Transportation options include walking, bicycles, mopeds and horse-drawn carriages. 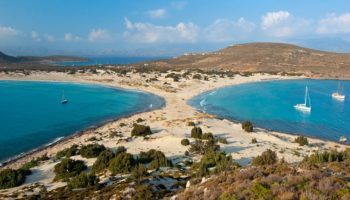 As the nearest island of the Cyclades to the mainland, Kea is extremely popular with Athenian families in August and at weekends year-round. As a result much of the coastline is peppered with holiday homes built with the locally quarried green-brown stone. One of the most iconic landmarks on the island is the Lion of Kea, an ancient sculpture you can reach by taking a fairly strenuous hike. 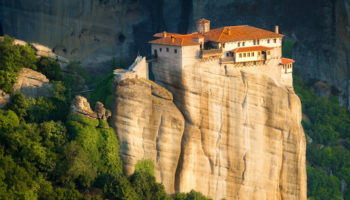 Also worth visiting is Panagia Kastriani Monastery, which provides a dramatic overlook of the Aegean. Ancient Karthea is another notable archeological site, with the remains of a temple and theater overlooking the sea. Kea has many incredible beaches, including Koundouros Beach, Otzias Beach and Gialiskari Beach. Andros is a mountainous island at the far north of the Cyclades archipelago. Some of the island’s best-loved beaches include Agios Petros Beach and Achla Beach. 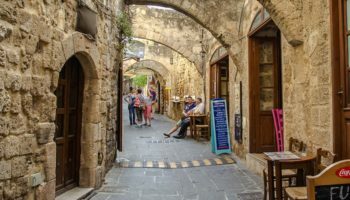 You can visit some distinctive museums on Andros, such as the Archeological Museum of Andros, The Museum of Contemporary Art and Clyclades Olive Museum, which is actually an authentically restored olive mill. 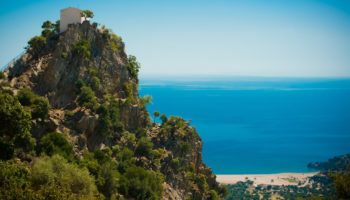 Another fascinating landmark is the Holy Monastery of Panagia Panachrantos, a Byzantine monastery on a mountaintop that offers panoramic views of the island and sea. 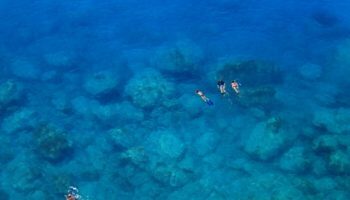 Andros is a good place for hiking as well as water sports such as snorkeling and scuba diving. 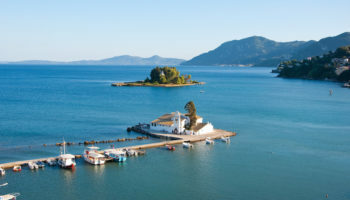 Poros actually consists of two islands in the Saronic Gulf, Sferia and Kalavria. 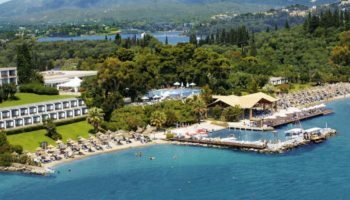 Separated from the mountainous Peloponnese by a narrow sea channel, Sferia is mainly occupied by the town of Poros while the much larger Kalavria has the beaches and seasonal hotels. Like many Saronic islands, Poros attracts many weekend travelers from Athens. In the northern section of Poros, you can visit the ruins of the Temple of Poseidon. Another noteworthy attraction is the medieval monastery, Zoodochos Pigi, where you can see a rare collection of religious icons and enjoy spectacular views. Aegina, which is part of the Saronic Islands, consists of a main island and several smaller islets. One of the nearest islands to Athens, hydrofoil ferries from Piraeus whisk visitors to Aegina in just 40 minutes. One of the main archeological sites on Aegina is the Temple of Aphaia, a structure dating back to around 500 BC. If you are interested in the region’s history, you should also visit the Archeological Museum of Aegina, which has ruins and walls from the Neolithic period. Some of the island’s beaches include Marathonas Beach, located in Aegina Town and Moni Island Beach. This island is also home to the Aegean Sailing School, a place where you can acquire or improve on your boating skills while touring the beautiful island. Hydra, situated in the Saronic Gulf, consists of the island of Hydra along with Dokos and several islets that are not inhabited. Prized for its unspoiled character, the island of Hydra offers day-trippers a delightful break from the hustle and bustle of life in Athens. Motor vehicles are off limits in Hydra, which makes the island the perfect spot to enjoy some rest and tranquility. The handsome 18th-century mansions along the waterfront are the island’s primary attractions. Hydra also has several museums, including Lazaros Koundouriotis, a well-preserved mansion dedicated to local history and culture. Some of the Hydra’s prominent beaches include Saint Nicholas Beach in Hydra Town, Bisti Beach and Vlichos Beach.